A closed beta doesn't give a good indication of the playerbase that Bblade And Soul will have upon release, as such, they cannot predict how servers will handle the population at peak hours and low hours. I stressed the need for an open beta before as a college student in game design, but seems the community doesn't seem to understand the reason why we need an open beta before the release instead of a Closed Beta into a release. A closed beta is good for having players test out changes that aren't ready for the public yet while an open beta is a much closer version towards the release. The reason why there's a need for an open beta is as many people have addressed the issues of the server being laggy or crashing at times. Much like Final Fantasy 14: Square Enix took an approach that handled the situation well. They went from a closed beta where the servers needed to be expanded and maintained a balance of when players are able to join certain servers so that each of the servers have a balanced population. Why would this be a good approach? Later on when most of the players hit end game, there will be a lack of players in the early level which makes the game feel a bit more empty compared to when it's released because of the rate of exp you gain through questing (though I feel like the exp rate is fine as is). Also 1 server won't be stacked while you have 3 empty servers. Having an indication of the playerbase that Blade and Soul will have will help NCSoft prepare for how to handle the amount of servers B & S needs and also times they can optimally do maintenance during non-peak hours. I have played on the Japanese server and I can definitely say that their servers just feel empty and would rather be better with them having 1 server instead of 4 since most of their players are currently lvl 50 right now and although the official version has been out for awhile, there should be no way that their playerbase is less than that of the Closed Beta in NA right now. If you've played in Iksanun or Jiwan right now, you can see that towards the end when players are waiting for new content no long have the motivation to continue playing which results in a lackluster amount of players on the server. It seems that Mushin was the only server to beat Blackwyrm because of their server population compared to Jiwan or Iksanun which declined throughout the course of the betas. A good way to solve this would probably be to merge Iksanun and Jiwan, as the server population stabilizes over time to compete with an active server like Mushin. 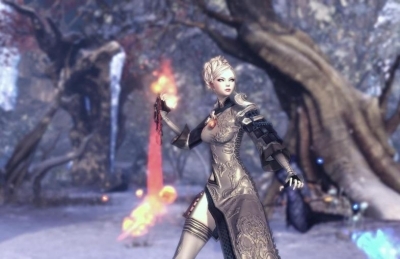 Worrying Trend : NCSoft's Blade and Soul servers might not be prepared for NA's playerbase during release. 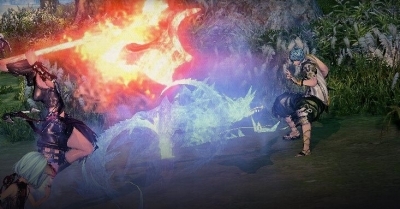 Bblade & Soul servers might be stacked on one server and empty in several others and also having too many servers could result in a decline players no longer playing overtime thus making some of the additional servers low in players overtime, while having too few servers might result in servers not being able to handle it like Mushin in the beginning which resulted in Jiwan and Iksanun. 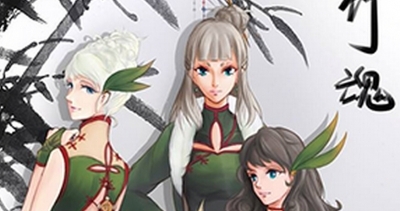 Blade & Soul will be completely free to play when it launches. However, the Founder’s Packs grant you access to our Closed Beta, Head Start, and many other bonuses as listed above. I was then looking for another MMO, and came across Blade And Soul for a couple of years. Played a bit in the russian private server, but everything was mistranslated or in russian. As other people have stated the players that already maxed out their gear want prices to remain the same so they can maintain a monopoly on the items.